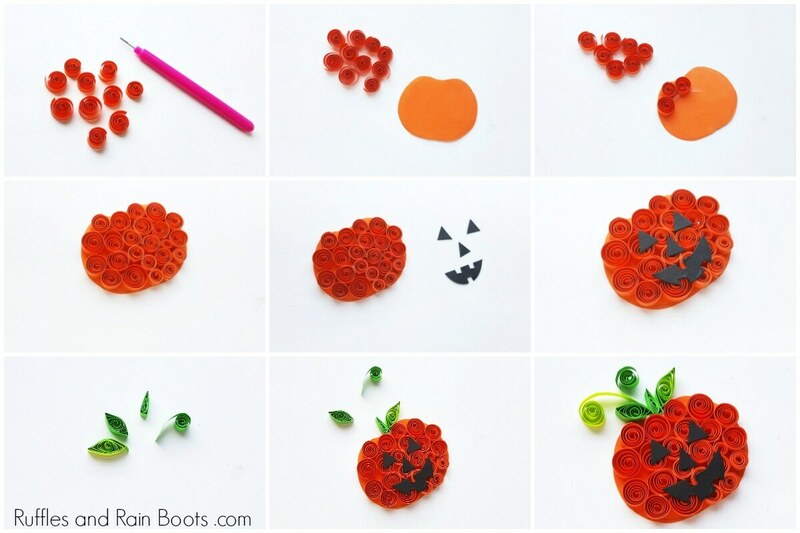 This fun quilled pumpkin craft for kids will work on fine motor skills while creating an adorable Halloween Jack-O-Lantern. Let’s get started! 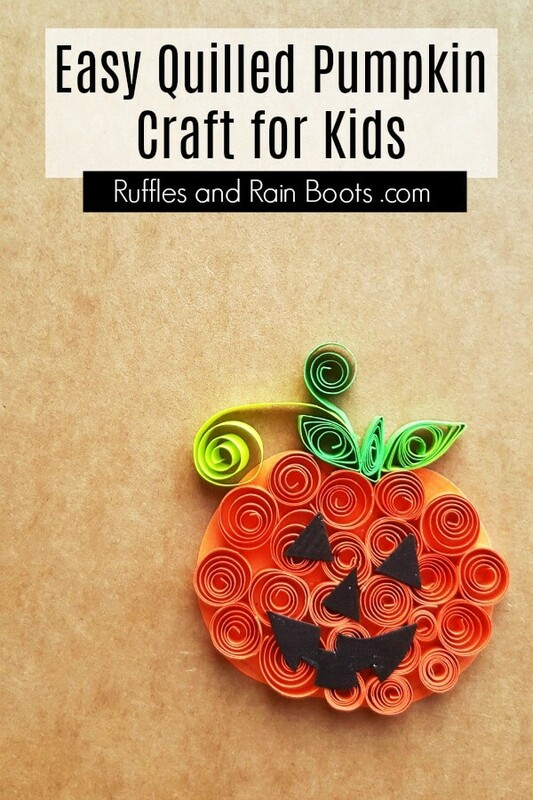 Here on Ruffles and Rain Boots, we love sharing easy kid crafts. 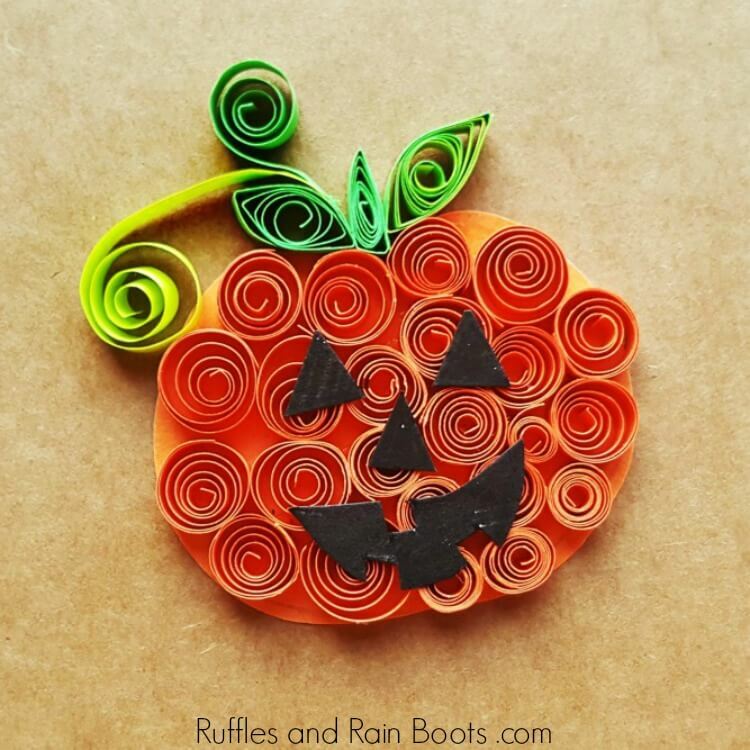 This quilled pumpkin craft is no exception! And let’s be honest – it’s a lot less messy than carving a real Jack-O-Lantern. You only need a few supplies to get started, so grab the little ones and let’s start working on those fine motor skills. This is simple fun, friends. Give the kids the invitation to create this fun Halloween craft in two craft sessions (preschoolers) or one. Roll the orange strips around the tool or pencil to make loose coils. Cut out a pumpkin-ish shape from a piece of orange craft paper. It can be an oval if the kids are cutting it themselves. Glue the orange coils onto the cutout, starting on the outside and working in. Squish the center ones if it gets tight. 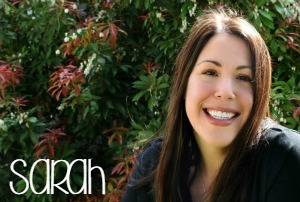 Cut out triangle shapes for the eyes and nose and a shape for the smile. Glue on top of the coils. Use the green craft paper to create a stem and the yellow for the leaves and vines. 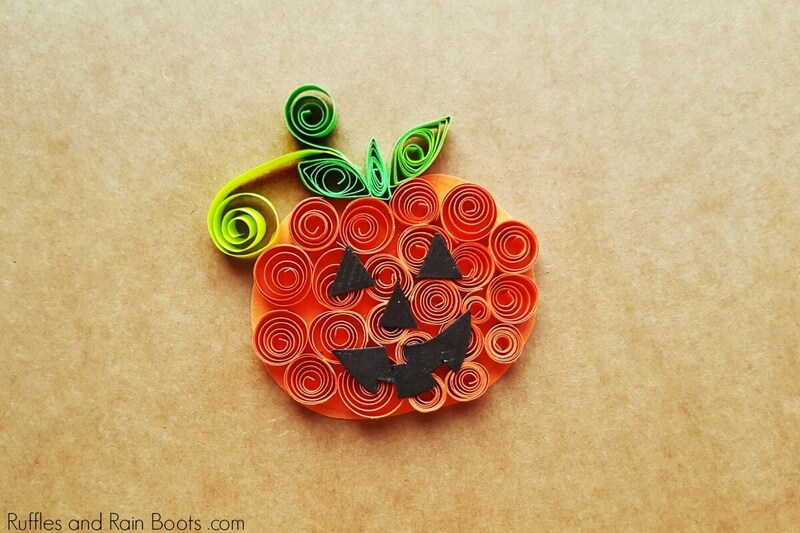 The kids can use straight paper or quilled strips. Glue them on and let the entire project dry.